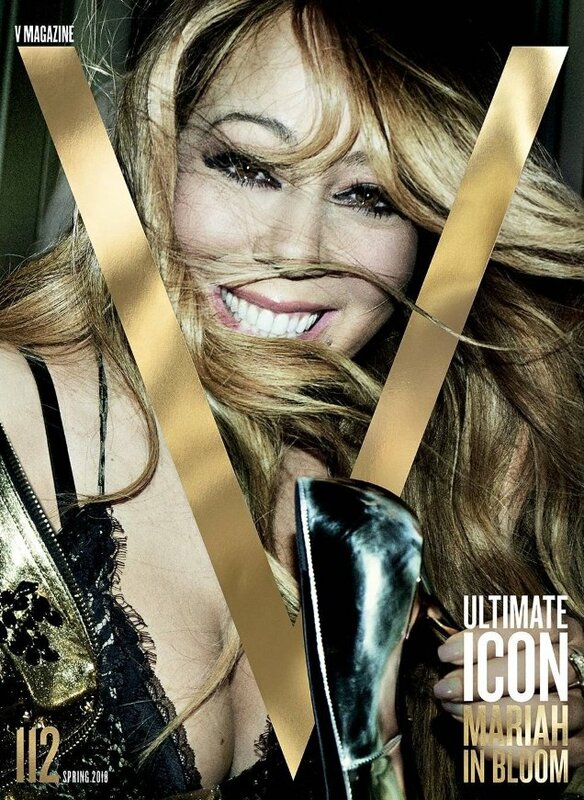 Leave it to a publication like V Magazine to make the one and only Mariah Carey its cover girl (twelve years after her last appearance). Mariah almost never graces the cover of our favorite fashion glossies, so you’d think our forum members would welcome a departure from the usual suspects at the newsstand. Unfortunately, our forum members are finding the choice of photographer to be in poor taste amid ongoing sexual misconduct allegations against Mario Testino (it’s notable that V failed to credit Testino on its website or social channels). For V‘s #112 Spring 2018 edition, the American songstress was photographed amongst the lavish surroundings of The Ritz hotel in Paris (because where else would Mariah spent the night?) and is all smiles in the cover image. Members of our forums were NOT a happy bunch. “Are they seriously doing this now? Hiring that creep, but not adding his name anywhere? I mean, wow. The fashion industry has always been a messed up place, but this is really something!! Shame on them!” scolded Miss Dalloway at once. “Shame!!! Tacky forced crap, in the paper shredder with it,” slammed Nymphaea. “What’s happening with Testino was their chance to hide these atrocious photos and to do a better job but they missed it. Bad cover, bad editorial,” said GivenchyAddict. “Was this shot before the truth about him came out? It’s amazing how many of these publications continue to run content photographed by him,” fumed orchidee. “Did they use her same face to every photo?? It looks exactly the same!!! I can’t,” said thatsfierce. See more from Mariah’s cover shoot and join the debate here.